Physical Education provides an opportunity to move and have fun while learning about sports and health. At JQS, the Physical Education department is headed by Mr. Levett. You can contact Mr. Levett at tlevett@bostonpublicschools.org with any school related questions. 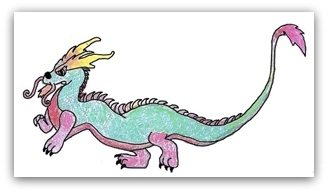 Flying Dragons which meets for an hour before school from October through February, for 3-5th graders. The Flying Dragons amaze everyone each year at the Lunar New Year performance. https://www.boston.gov/departments/boston-bikes/youth-cycling-program - We offer this free program for two weeks during physical education during school hours every year. http://www.gonoodle.com - We use this for indoor recess with our younger elementary students. It can also be used at home. https://www.communityrowing.org/programs/youth-rowing/ - We formed a relationship with this program in 2017 and plan to continue with this great opportunity for our community. 4th and 5th grade participates in this 8 week program during school hours and we plan a 5th grade field trip on the Charles river. Also check out their website, they offer summer camps and other rowing opportunities. http://asahoops.com/ - Mr. Levett has been affiliated with this program for many years. This is a year long operation, please check out our camps/clinics we offer throughout the year.